Dramatic flash zooms in and out of the new fountain at The Point in downtown Pittsburgh, Pennsylvania. 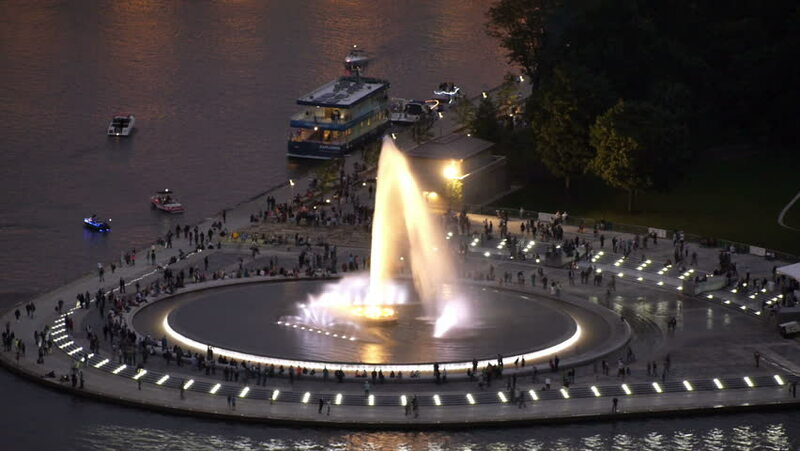 hd00:10The iconic fountain at The Point in downtown Pittsburgh, Pennsylvania. 4k00:40August, 2018 - Pyongyang, North Korea - Night shooting Hotel Ryugen illuminated.